January 14th, 2019 – Navigating the New York City subway system can be rough, and it can also be ruff if you’re into cheesy puns. 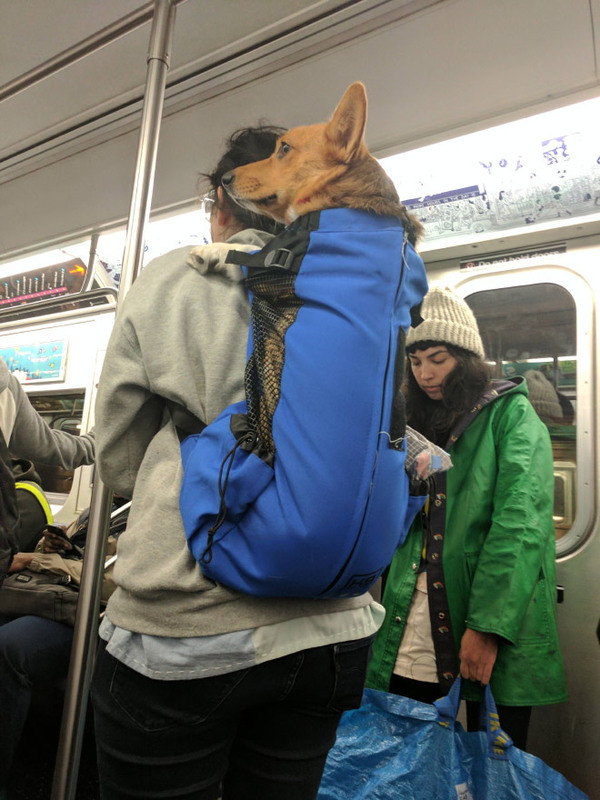 After the Metropolitan Transit Authority cracked down on furry friends hitching a ride, dog owners found a way to stay out of the doghouse by leaning hard into a loophole. 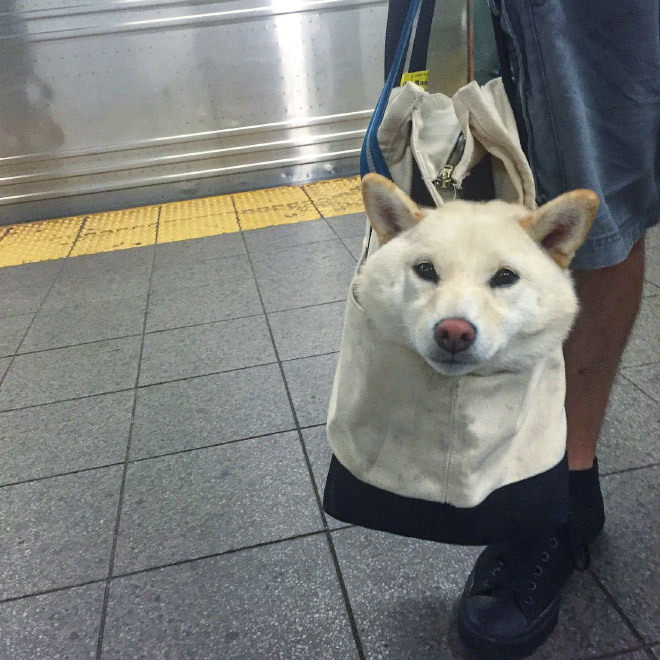 MTA intended to keep larger dogs out of the subway by issuing a rule that stated only animals that can fit into a “container” can ride the subway. 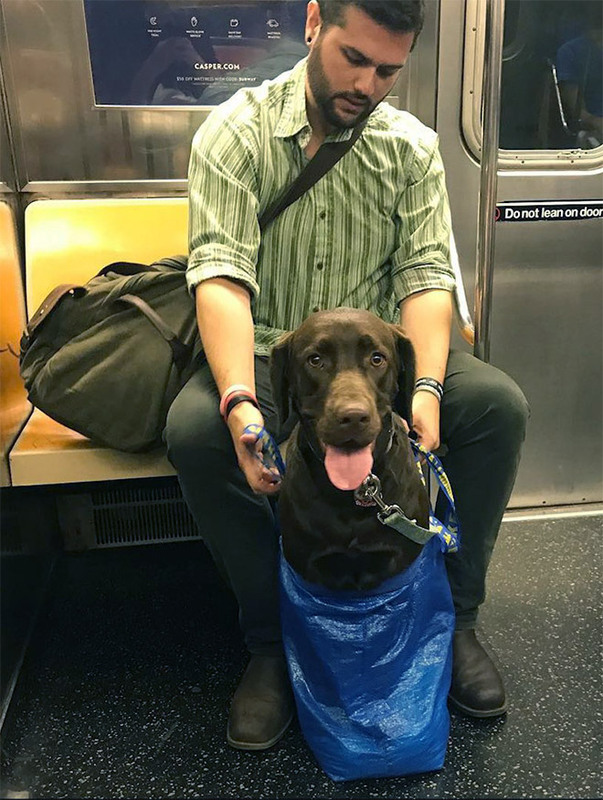 New Yorkers are no stranger to pushing through obstacles, and a little MTA “Rules of Conduct & Fines” wasn’t going to stop them from bringing their furry friends along for the day. If the rule is that animals must be in a container, then they will find a container. 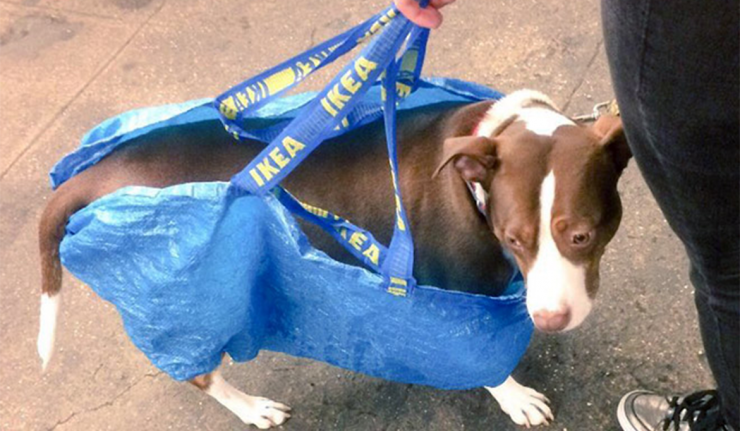 Did you keep your bag from a daunting trip to Ikea? Good, your big pup can ride. Did you find that ugly, giant tote bag you got because you made a charitable donation seven years ago? Well then your husky can ride the rail, too! 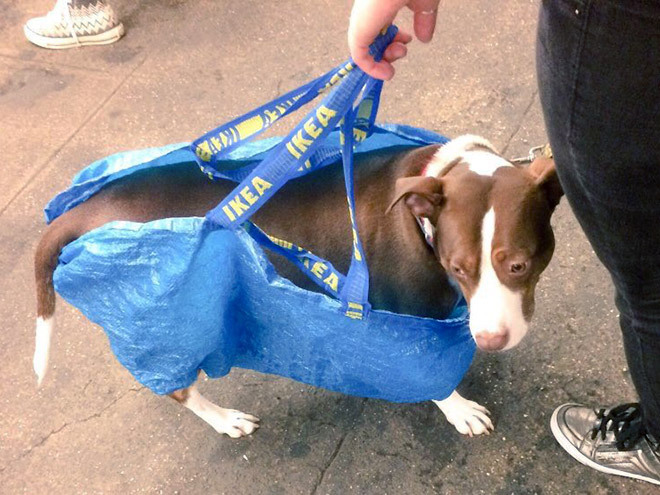 In June of 2017, @meanboysclub shared a series of photos from NYC dog owners that “did not disappoint.” His tweet was retweeted over 173,000 times since then, and it opened the door for a whole lot of other ingenious rider photos.